Update 2/19/17 4:40 p.m. : Elon Musk posted a gorgeous little video of the landing to his Instagram this afternoon. 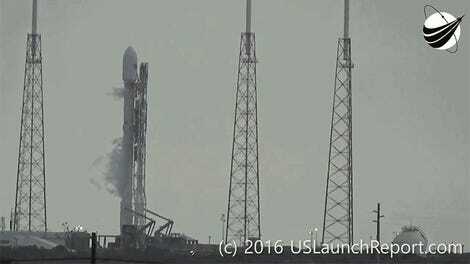 Update 2/19/17 10:01 a.m. : SpaceX had a smooth as silk launch this morning. The first stage of the Falcon 9 rocket successfully landed at Landing Zone 1. And the Dragon cargo capsule is on its way to the International Space Station where it will be captured by the crew on Wednesday morning. You can watch it all in the video below. Update 2/19/17 9:00 a.m. : Saturday’s mission was scrubbed according to Elon Musk because SpaceX wanted to be extra cautious about an anomaly that was noticed. It was rescheduled for today, Sunday at 9:38 a.m. EST. According to NASA’s website everything is go for launch. Watch along with us! Today, SpaceX will launch its Falcon 9 rocket from NASA’s Launch Complex 39A for the first time. 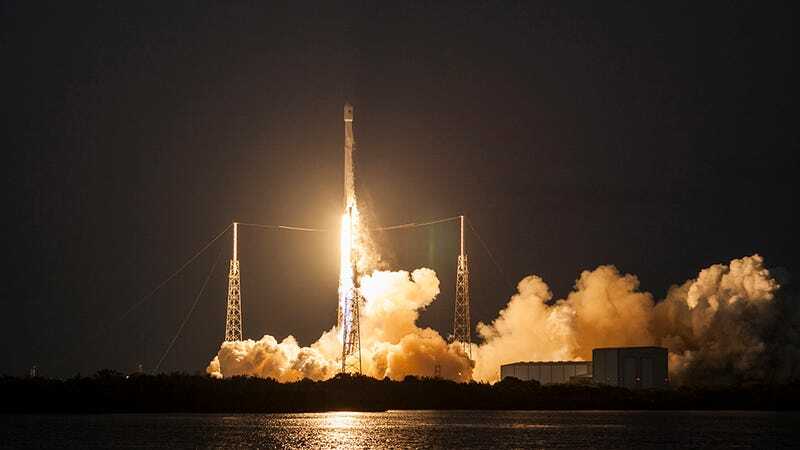 The mission was originally scheduled to happen last year from a different NASA platform but was rescheduled after a Falcon 9 exploded on the launch pad. Now, SpaceX is ready to give it another go. The rocket is scheduled to blast off at exactly 10:01 EST and it will carry 5,500 pounds of cargo destined for the International Space Station. Following the delivery of its payload, the first stage of the rocket will attempt to touch down at Cape Canaveral’s Landing Zone 1. Launch Complex 39A carries a special history for NASA and space lovers alike. The pad was used to send the first man to the moon and many other landmark missions. It has been dormant since the Shuttle program was put on hiatus back in 2011. For SpaceX this launch will signal that the private rocket company is ready to get down to the business of taking on missions rather than continuing tests. If January 14th’s smooth as silk launch and ground landing of a Falcoln 9 is any indication, today could be very exciting for everyone.